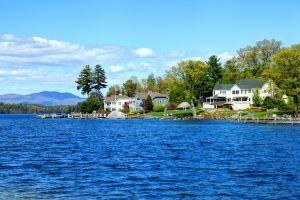 Many people dream of owning a vacation home on a beach, lake, or in the mountains. If you have purchased a second home, this is a huge accomplishment to check off of your bucket list! To protect this investment there are a number of steps you will want to take. Here are our Top 5 Tips to secure your second home. Install a monitored home security system. If you are frequently away from your second home, you definitely want someone to keep an eye on it 24/7. With a monitored home security system from American Alarm, our security command center will respond to any trouble signal from your home in 20 seconds or less. Add security cameras inside and around the perimeter. You most likely will not be there as frequently as your primary residence. Being away for long stretches of time may make you feel anxious about the physical security of your property. Installing surveillance cameras can give you great peace of mind. Peek in on live footage, or receive video recordings when motion is detected (another perk of these cameras: you may catch some great clips of wildlife). Utilize an access control system. If you rent out your vacation home or share it with family or friends, keeping track of the keys can be extremely difficult. Installing an access control system can save you a lot of headaches. Set up timed user codes for your guests or house cleaners, and keep track of who’s been coming in and out. Waterfront property is great, but you probably worry if home could be susceptible floods. Or perhaps you have a home in the mountains, and you are worried about your pipes freezing. We offer a variety of environmental detection systems to fit your homes needs. Save money on your homeowners insurance. Owning a second home can come with a hefty insurance policy, especially in areas that have inclement weather or are prone to flooding. Many insurance companies offer substantial savings when you install security and life safety systems, such as burglar, fire, or environmental protection. Once you have the proper security measures in place, you will be able to sleep soundly and enjoy your vacation home even more!